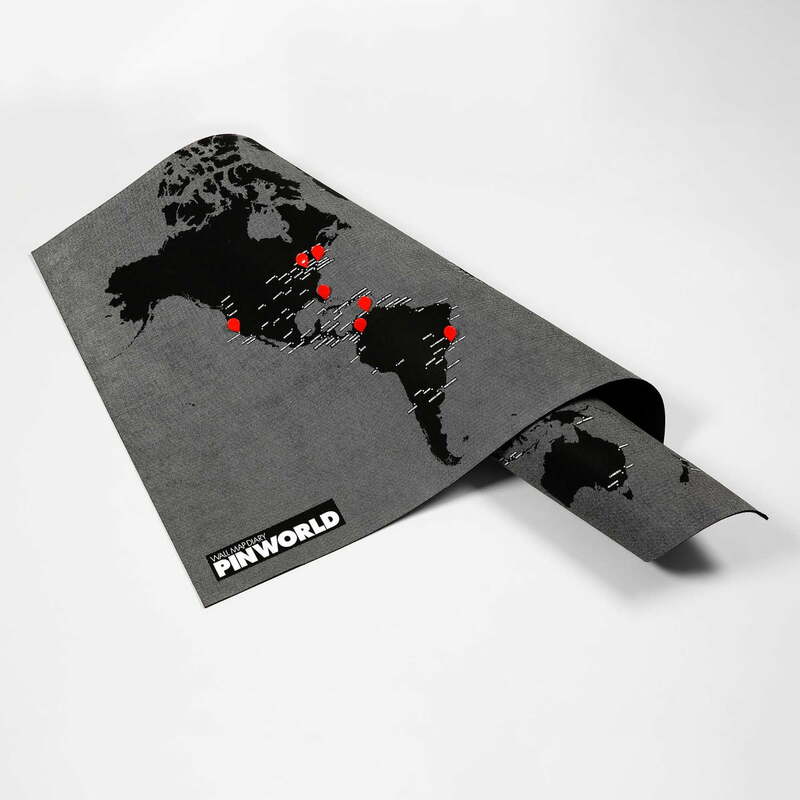 Pin World is both a world map and a pin board. The attractive design by Pizzolorusso & Alessandro Maffioletti for Palomar is an eye-catcher for your office or at home. No matter where you attach Pin World, you will already start dreaming of your next holiday or reminisce about your last one. 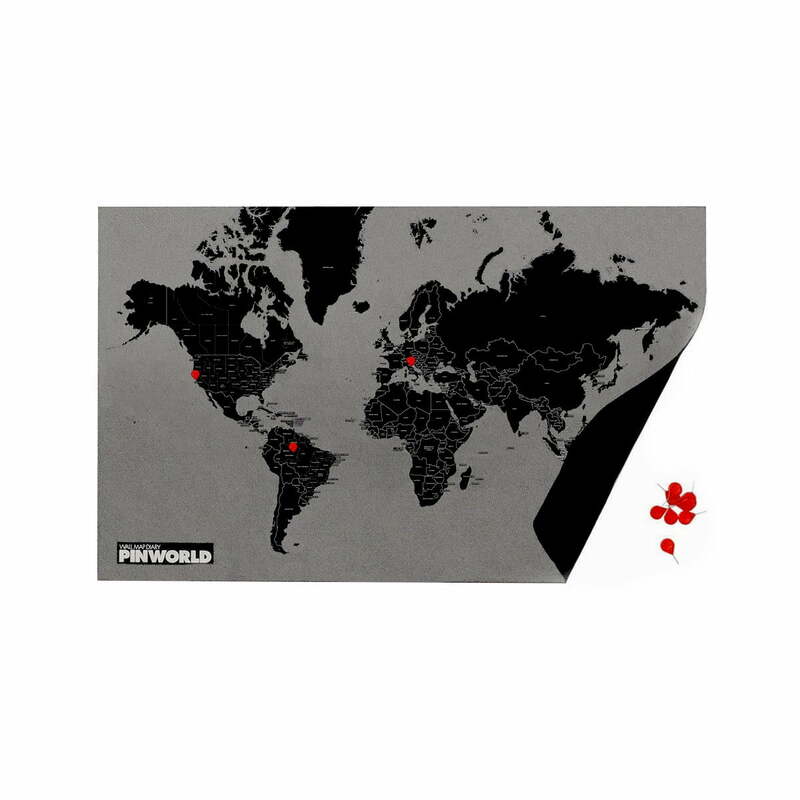 The Pin World map shows a graphic overview of all the continents including all metropolises. Just like a to do list, special destinations can be marked with the 15 red pins included with the map. There are additional pins available for people that travel often. This way, you can broaden your horizons and can also pin up memories, pictures, tickets and other small things directly on the board. Thus, the Pin World becomes a very personal travelling diary, which can be enjoyed with family and friends. 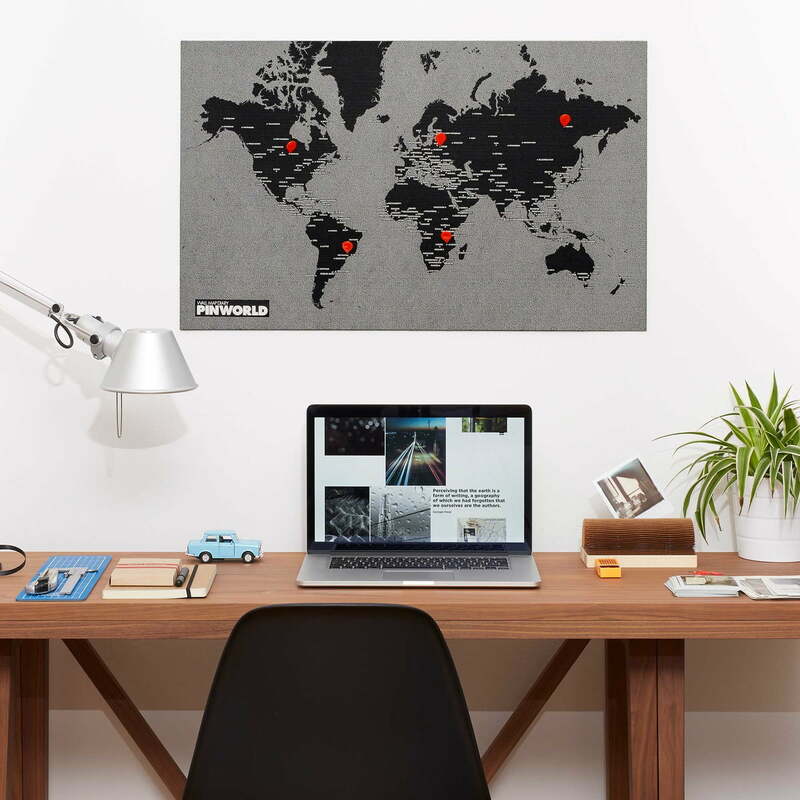 The world map is available in classic black-white or maritime blue colours becoming a wonderful highlight on every wall. This is a great way of collecting memories and looking forward to new ones. For your home or as a personal gift idea for globe trotters and travel-enthusiasts. Also available as 3-pieces XL image (210 x 130 cm).